Bowling for Soup (acronym: BFS, or sometimes B4S) is a pop punk band based in Denton, Texas (but originally from Wichita Falls, Texas) formed in 1994 from the remains of an old metal band. Quoting Jaret Reddick, the lead singer, "we wanted to make happy music". 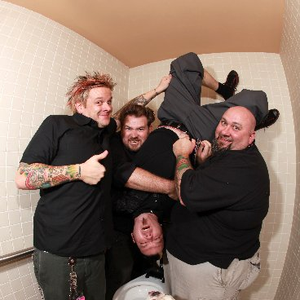 They're known for their often humorous lyrics, upbeat guitar riffs, and Jaret's distinctive voice.